I take a few bites and I think I actually like it. It's chocolate first and mint second, but more importantly is the role the chocolate chips are playing. I was surprised that they were throwing out road bumps for my scoop so I looked closer and saw that they are a bit thicker than expect. What's more important is that they leave a really nice chocolate taste in your mouth as they melt. Holy cow I think I like this one! The flavor is surprisingly balanced, the chips are surprisingly dialed in and really help sell this one, and even the texture is respectable. Did Breyers suddenly remember how to make ice cream again? I'm not saying this is some dense super premium stuff, but all the factors have come together really well. I have zero complaints right now. I wasn't even sure I was in a minty mood so maybe that's why I appreciate the chocolate taking the spotlight here and the mint just adding a nice fun factor to it all. Wow. I am so glad I picked this up! 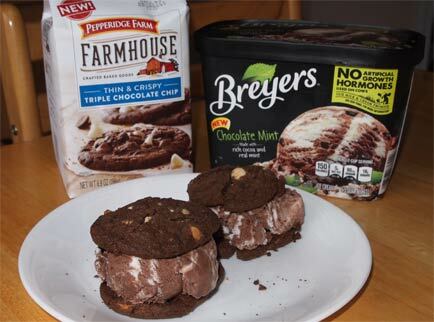 On Second Scoop: I just happened to put out these ice cream sandwiches on April 1st and Marvo wisely called me out for saying I liked a Breyers flavor on April Fools Day. He's right but I also have finally found the first Breyers product in awhile that I actually liked and would actually recommend. It's just a really well balanced product. From the chocolate balancing the mint to the chocolate chips balancing with the texture, this one works surprisingly well. 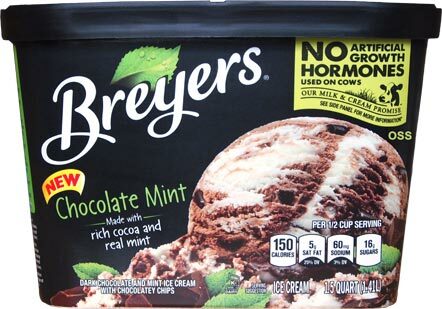 If you want a mainstream ice cream that is chocolate first and mint second, give this one a try. Noticed they have been moving back towards an ice cream base vs "frozen dairy dessert"- some of their more mainstream flavors are now actually ice cream again- would love to see your thoughts on the new formulas. @Morgan: are you referring to like chocolate and vanilla because those never left actually, Breyers never went 100% frozen dairy dessert on their main line up. I'm not saying that I'm not glad that they fall on the ice cream side of the food science lineup, but like their ice cream cake ice cream was ice cream and that was still pretty sad. This looks good. I have always loved their chocolate and their mint flavor (despite the texture being icy due to their former all natural ingredients). Does it taste anything like the base in the Edy's thin mint ice cream? 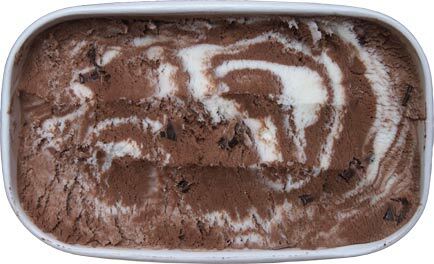 In other words, because it's swirled together, does it taste more like chocolate infused with mint all over vs. chocolate with pockets of strong mint when you hit a white spot? just for arguments sake, it would go three twins first then graeters, haagen-daz, ben&jerrys, then your mainstream brands like turkey hill and blue bunny, follow that up by skipping the frozen dairy dessert nonsense from breyers edys & friendlys. dont even bother with the budget stuff. that's just off the top of my head, there are smaller brands you could sprinkle in as well. I would like Breyer's to do more with fruit. I really enjoy fruit in my ice cream when it is done well. There is so much emphasis on chocolate that I think we forget how much diversity we can have in fruit. I've seen few companies give widespread use to fruits. There are even good fruit and chocolate combos I've never seen out there. I'd love to see sherbet reviews. The rainbow sherbets are all different. I just picked up a lemon, lime, orange combo from Market Pantry (Target) that is really good. First time I've seen those three paired up together in a container. I want to know who has the best sherbet. My kids adore sherbet. that said, Hola Fruta (by Pierre's) makes the best sherbet, but they are based in Ohio. Anne- have you seen Sorbabes product at Walmart? It's the only place I've seen it, and never had it personally, but they had some really interesting fruit flavors. While not sherbet, Talenti does a lot of fruit as well. I've had a few of the talenti sorbets and they are very bold. Dubba, have you tried the new Breyers Cinnamon Swirl yet? I have it sitting in my freezer to try tomorrow, just curious if I should be expecting good things or not! That's fine, we all have our personal preferences, but it's important to put it all in context. 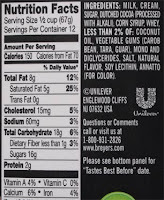 For example, "Breyer's Peach" is actually frozen dairy dessert, it's not ice cream (let alone super premium ice cream like haagen-dazs). Always buy what you enjoy, don't let my cataloging of ice cream dissuade you from your enjoyment. 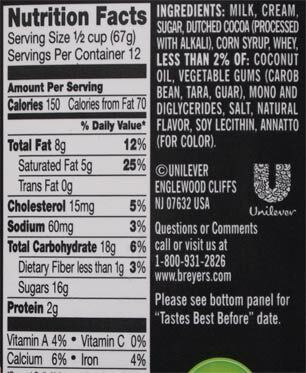 I passed by a Breyer's container and saw they went non-gmo and non-bgh. I was surprised. Unfortunately, they are still owned by Unilever so this was almost certainly based on a non-gmo market rather than a new owner deciding to go back to the 'purity pledge' and make good ice cream. Still, I might give it a shot. I stopped buying Breyers years ago. 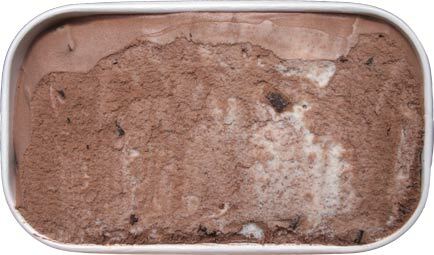 I also lamented the end of an old Haagen Dazs flavor called, "Chocolate Chocolate Mint." So when I saw this, I was understandable curious. It's addictive. You've already covered how the flavor blends but what I really like is how it's not overly sweet. They made a concerted effort to make the chocolate ice cream portion taste like dark chocolate which blends better with mint IMO.